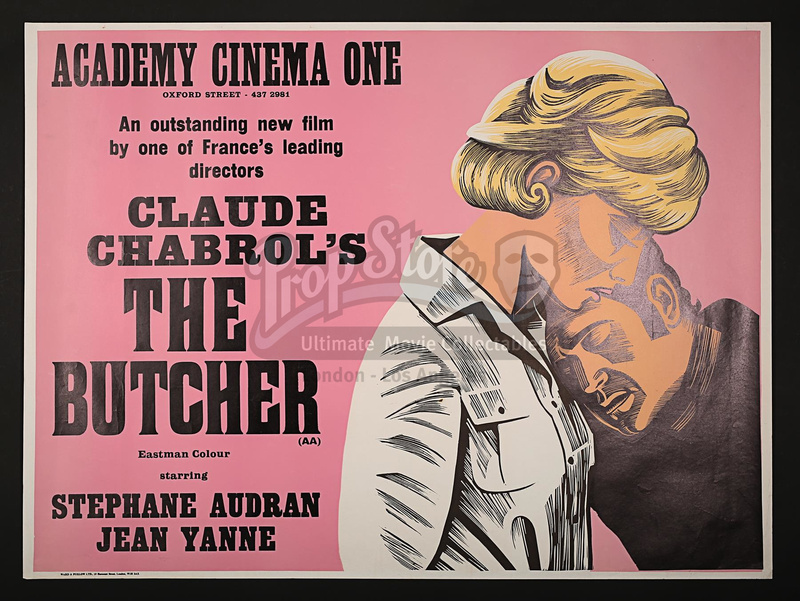 A silk-screened printer's "proof" Quad for the Claude Chabrol film "The Butcher", this a bespoke design for London's Academy Cinema. The highly distinctive design was by German émigré Peter Strausfield. 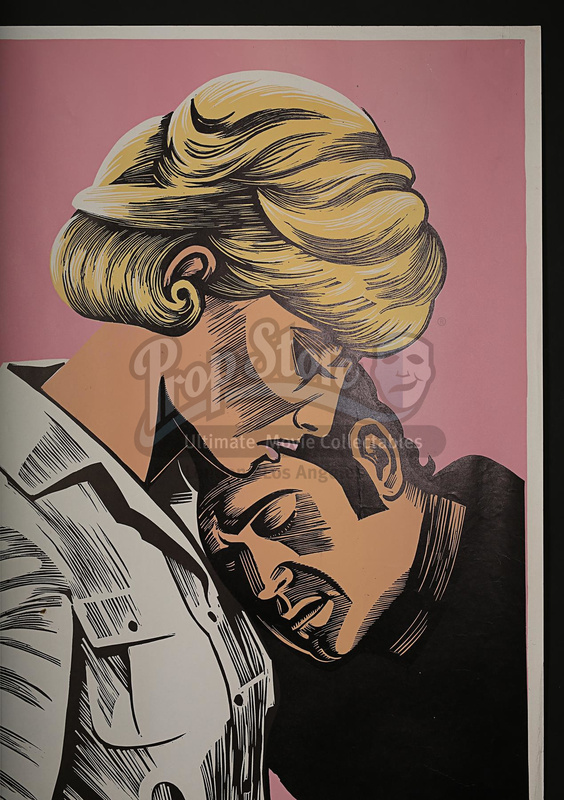 Strausfield' trademark method of poster design consisted of a simple illustration based on a linocut image from the film, all set against a single colour background. These posters graced the outside of the Academy Cinema and London Underground. 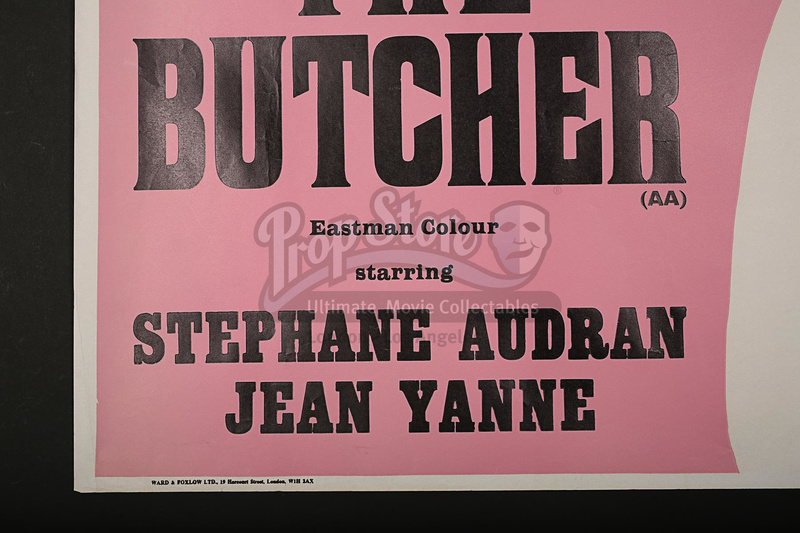 Print runs for single-cinema advertising were very small compared to normal national General Release posters. Unrestored and unfolded, in near mint condition.